We have worked with many successful companies whose relationship with Visible Factors has greatly increased their new customers and overall revenue. The Luxe team brought us in to help set up metrics and attribution, test various marketing channels, set them up for long term SEO success, and increase the number of daily reservations. Our primary focus was getting attribution set up so we really understood where our growth was coming from. It was important to know the channels driving the growth, as well as the campaigns. We set up Tune (MobileAppTracking) and a variety of other proprietary methods to ensure each campaign was tracked and quickly measured for effectiveness. Then, our team tested a variety of channels like Radio Ads, Billboards, Sponsored Stories, and App Install campaigns. We also worked with the team to relaunch the site and blog with SEO in mind. We worked hand in hand with the communications team, the internal product teams, and we found a system of growth to help grow the company quickly and own the market. 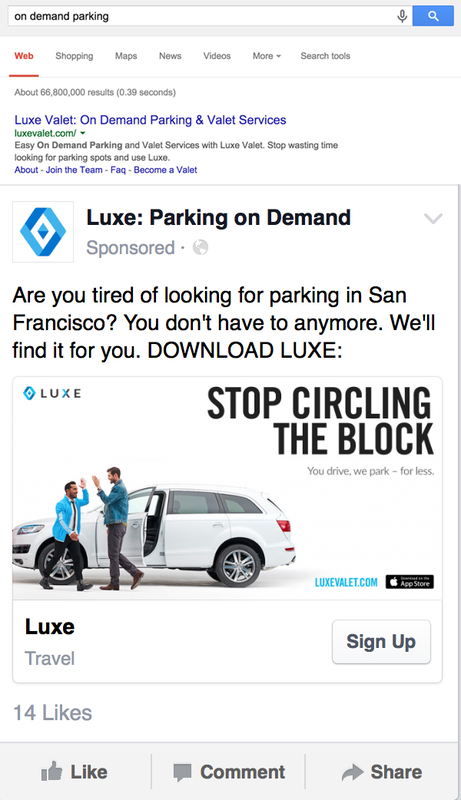 Our team was also able to help Luxe rank #1 for a variety of key phrases. This all led to an amazing increase of reservations with over 650%+ growth in less than 3 months. We were put in touch with Grokker to help them understand their audience from organic search and provide an audit to increase SEO traffic. We put together a comprehensive set of deliverables for the Grokker team to address all their concerns and give them a plan to work off of. Our research and analysis consisted of keyword research, an opportunity analysis, and Research + Assessment to give the team a strategic overview of their SEO opportunity. Then we audited the website to come up with a tactical and actionable set of SEO best practices and templates the team could begin to implement. Our SEO Audit covered things from meta data templates to crawling and indexing efficiency recommendations. After working with Visible Factors, Grokker’s organic search traffic increased by 500%+ and is continuing to grow monthly. We started working with thredUP in April 2014 and we were brought in to help them becuase of our experience with E-Commerce and SEO. Our primary goal was to increase traffic and visibility in organic search while also optimizing and increasing revenue from Google Shopping. During the time we worked with thredUP, we put together a variety of deliverables focused on overall SEO strategy and technical audits. Our technical audits included all of the primary SEO principles and we found many flaws with URL architecture and other best practices. We created a set of templates, actionable feedback for the team to implement, and strategies they could implement. 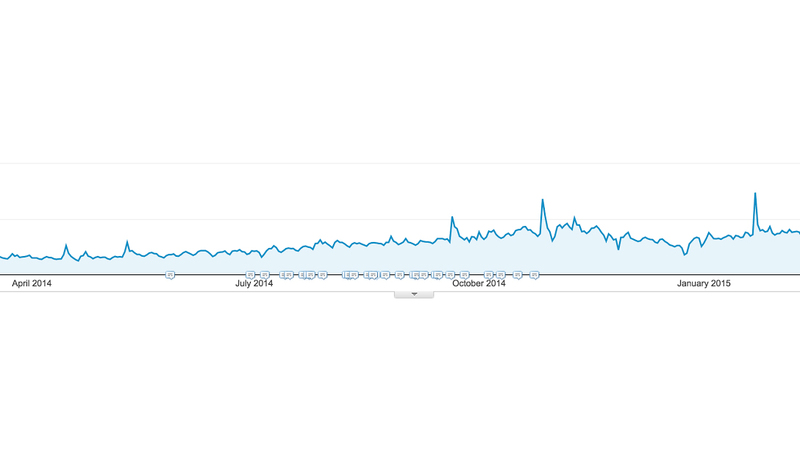 thredUP organic search traffic has grown consistently and continues to because of the long term strategies we focused on. SEO traffic has increased 243% and e-commerce revenue increased by 103% in less than one year. With Google Shopping, we achieved an increase in lifetime value was achieved by focusing on higher dollar value products and those that attract frequent and repeat buyers. Secondary to the user acquisition goals, Visible Factors was also tasked with improving user quality to reduce the cost per purchase and to increase the lifetime value of an acquired user. The cost per first purchase by users originating from Shopping campaigns decreased by 38% to reach the goal CPA. We reduced thredUP AdWords Shopping campaign cost per user acquisition by 82% while increasing new user acquisition volume by over 300%.